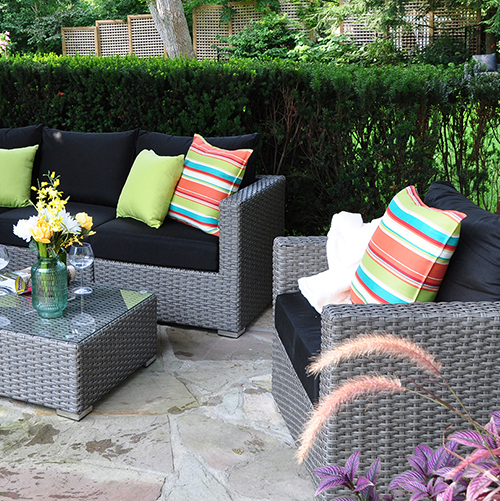 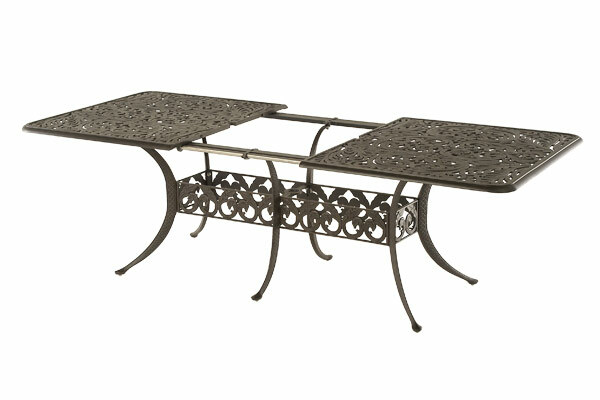 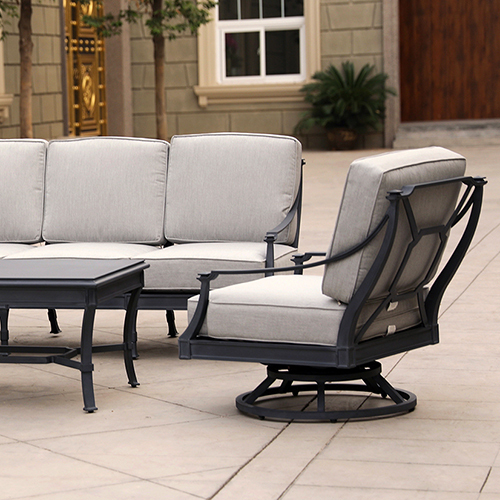 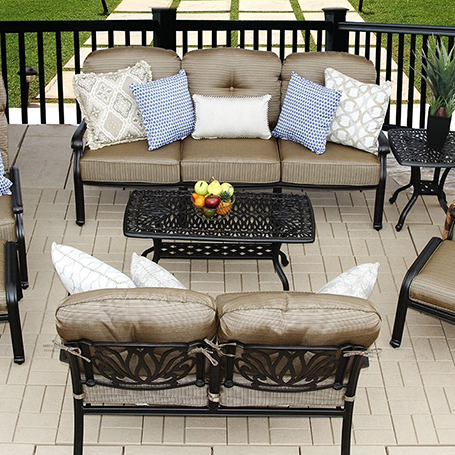 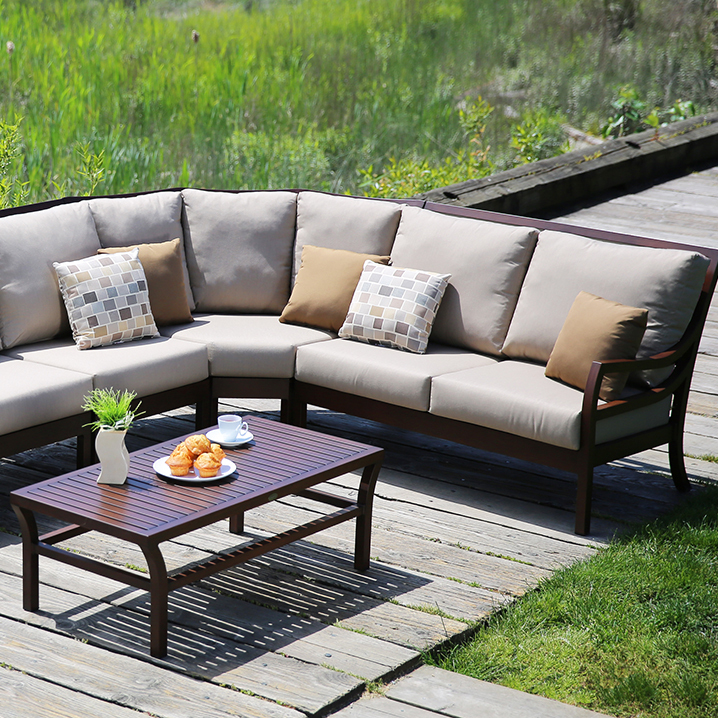 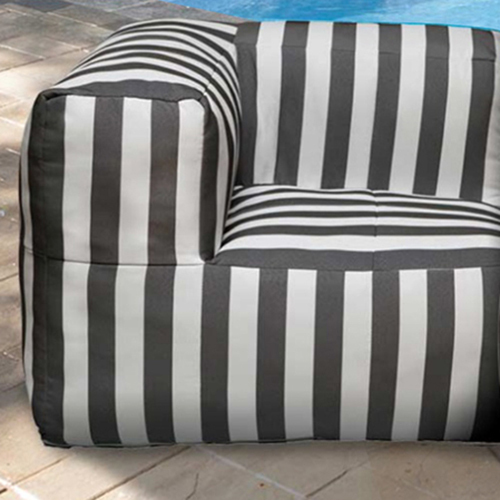 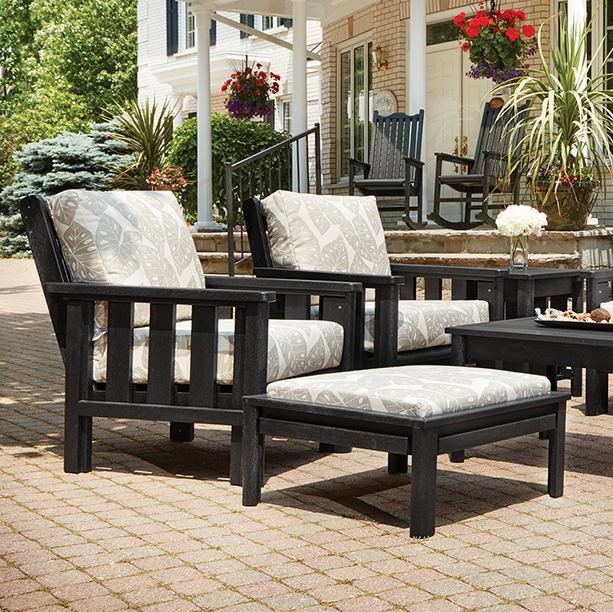 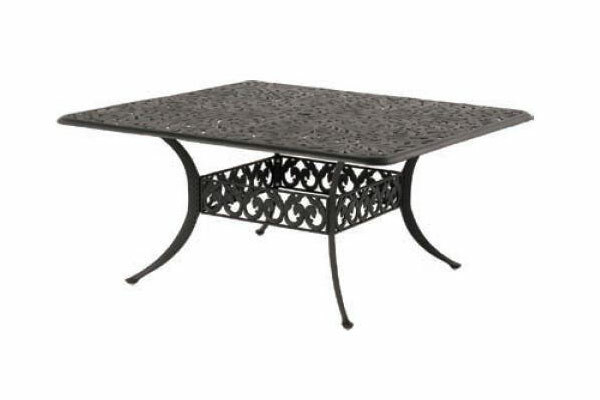 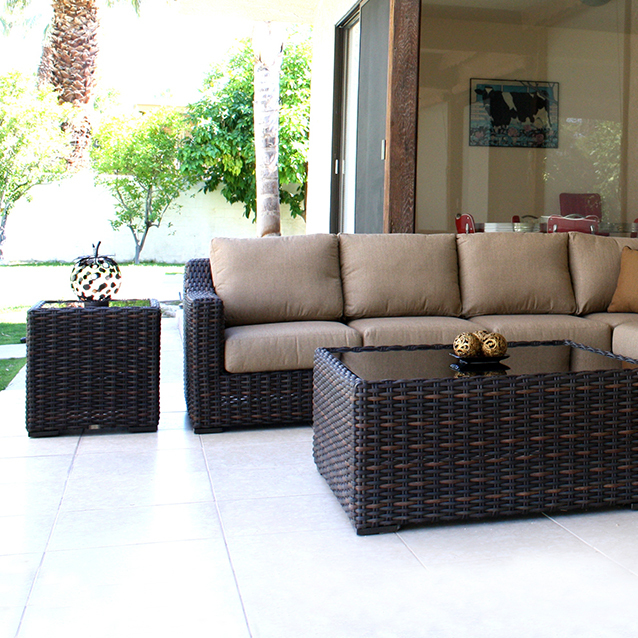 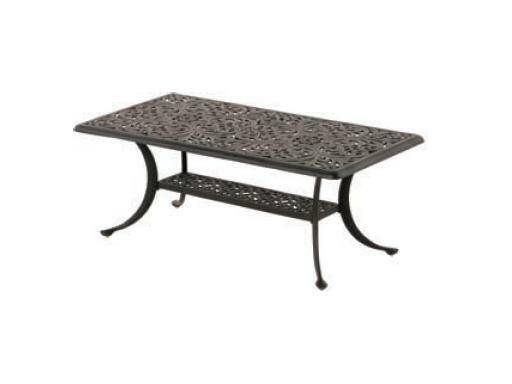 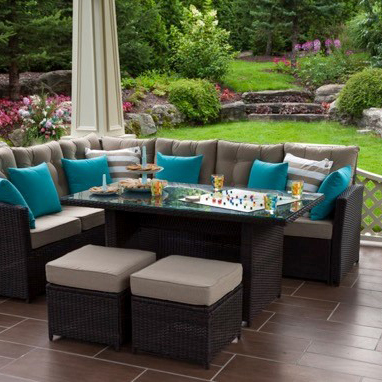 The Chateau Outdoor Table Collection offers a little something for everyone. 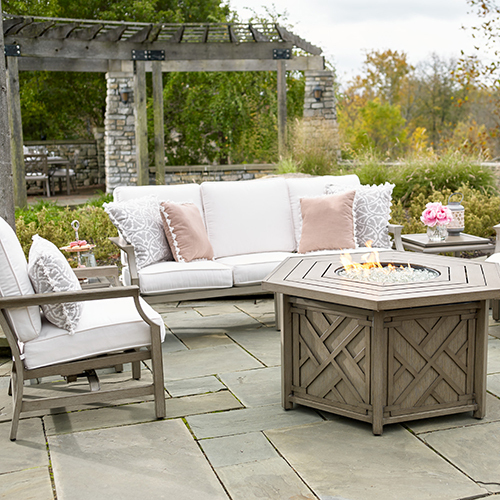 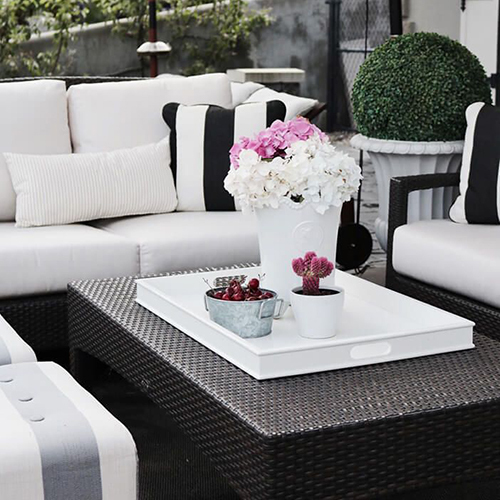 This incredibly durable and beautifully designed collection includes outdoor side tables, coffee tables, end tables, bar tables, and dining tables. 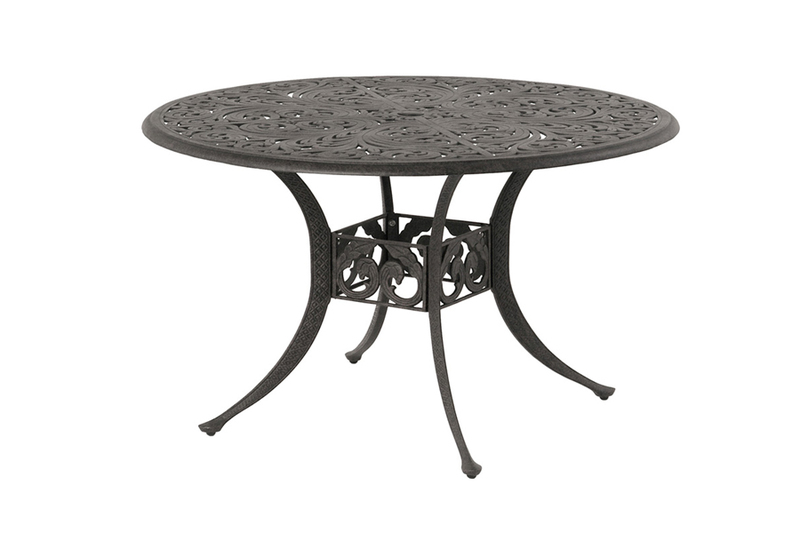 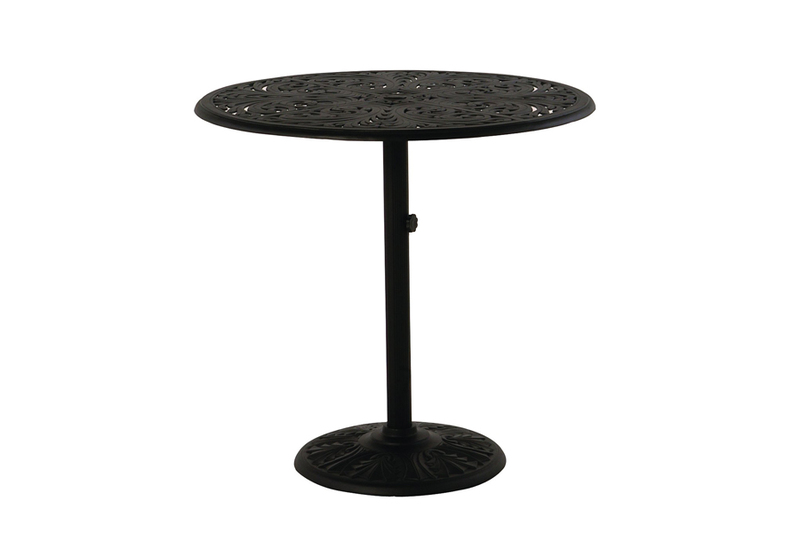 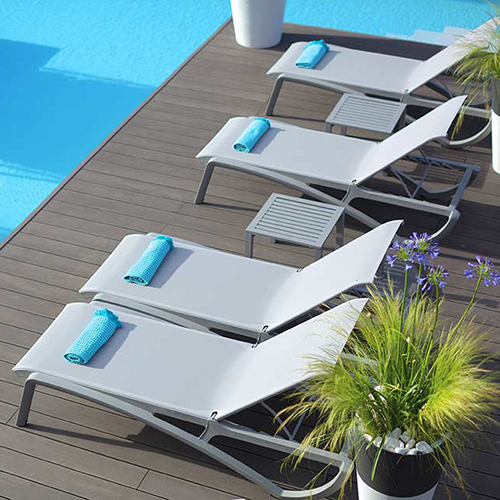 All of the tables are constructed using cast aluminum frames and a signature eight step powder painted factory finish that provides long lasting outdoor durability. 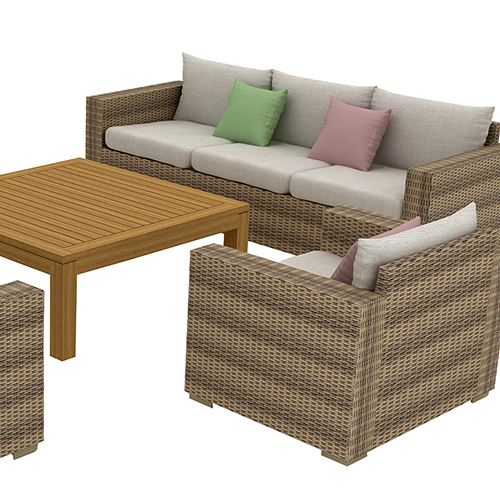 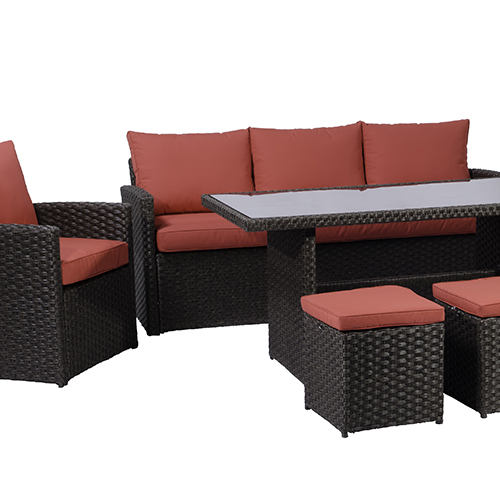 The elegant flowing designs and rustic colours pair perfectly with a number of our patio sets to provide the widest variety of options to complete your backyard oasis. 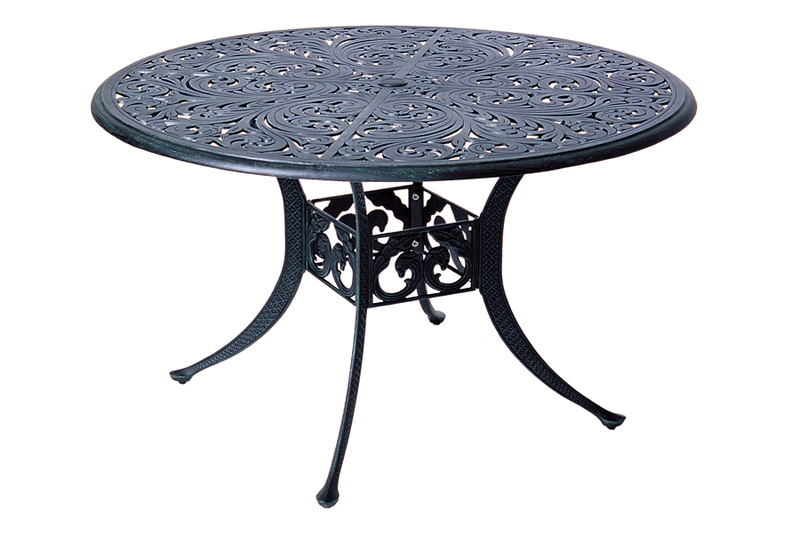 As an added bonus, the majority of the Chateau tables also feature a spot to rest your feet underneath the table for maximum comfort. 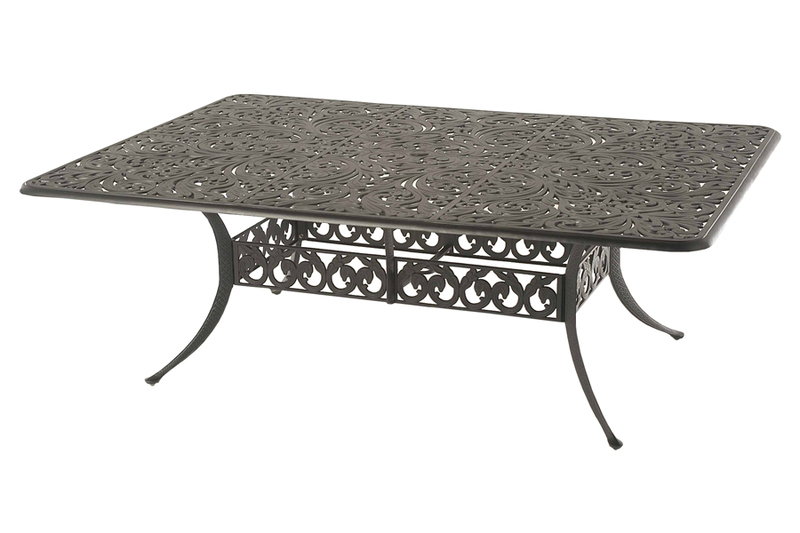 The unique designs take inspiration from classic woven metal work, scrolled finishes, and the textured finish seen on hand forged steel. 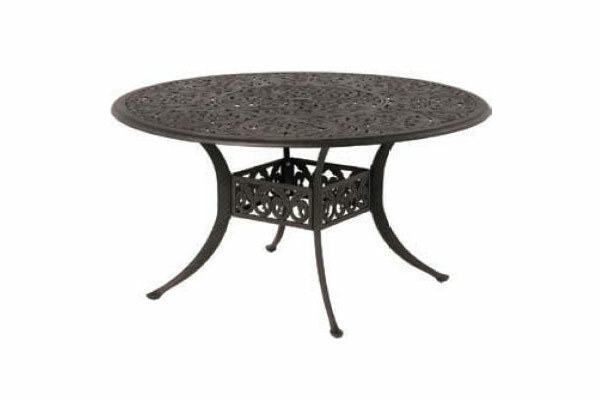 With tables from 21” round to 48” x 98” rectangular dining tables, the Chateau is perfect for entertaining any number of people.